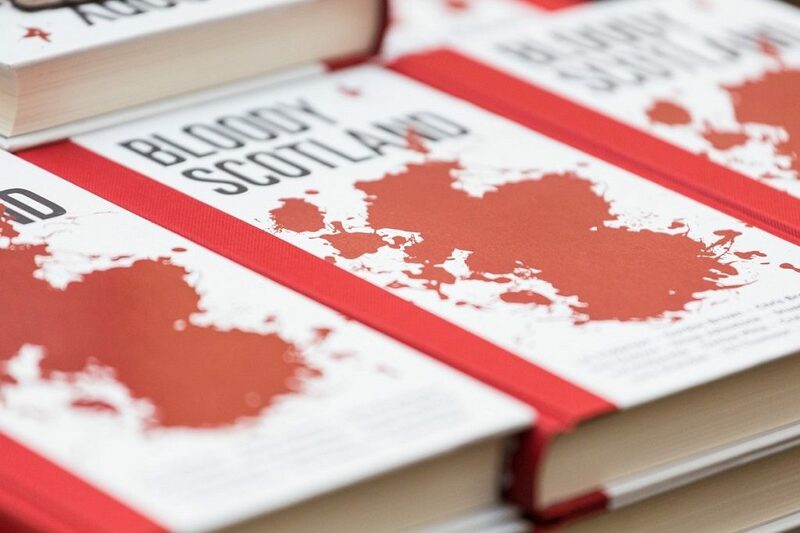 Bloody Scotland is our pioneering and award-winning anthology of short stories – written by Scotland’s top crime writers and inspired by some of our most iconic properties. James Crawford, HES Publishing Manager and the anthology’s editor, explains where the inspiration for the book came from. A number of years ago, I went with a small group of friends to visit the ruins of Castle Campbell in Clackmannanshire. 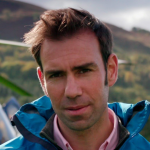 It was a strikingly bright June afternoon: a cloudless sky, no breeze, and the sort of humid, energy-sapping heat that very occasionally and very unexpectedly intrudes upon Scottish summers. 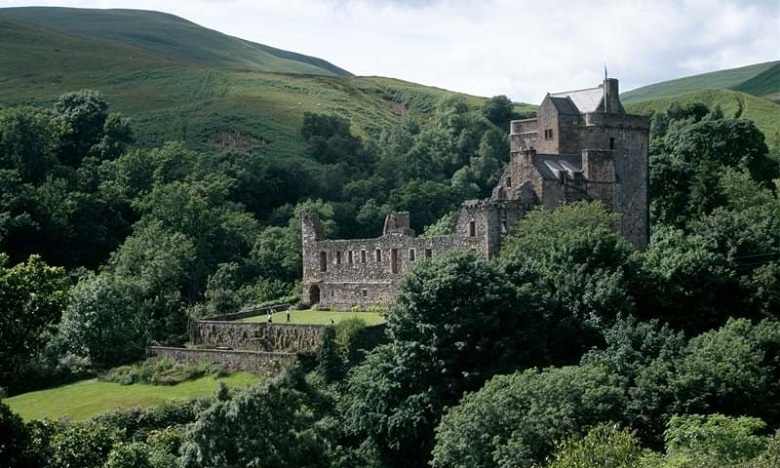 The castle sits between two narrow glens in the Ochil Hills, above the small town of Dollar. From the car park, you still have quite a distance to walk – all part of the experience, as a steep path winds up the hillside, with the ruined walls revealed only gradually on approach. That summer the surrounding undergrowth was an uncontrolled explosion of greenery, punctuated everywhere by bright, colourful wildflowers. It was so warm that the castle was blurred in a heat haze. There were no other visitors. We climbed in and out of the ruins, enjoying the dry coolness in the shade of the old stones. The only sounds were our own footsteps, the scratching of grasshoppers, and the lazy hum of bees drunk out of their minds on nectar. The castle nestles a little in its hillside setting, surrounded by tall trees. When you are there, you can look out and see almost no sign of the modern world. We walked down to the stepped terraces in front of the castle to sit in the sun. And that was when we heard it. A gunshot. In the stillness of the day, it echoed off the hillsides like a thunderclap. One of our group screamed at the shock of it. We all looked at each other for the tiniest instant with genuine alarm. And then we started laughing. ‘Must be a farmer’, one of us said. And we didn’t question it beyond that. A farmer doing the sorts of things farmers do; not that any of us really knew what those things might be. Within seconds, we had relaxed again. We walked some more around the castle, and descended the winding path back to our car, the gunshot forgotten. Well, perhaps not totally forgotten. Because that moment of alarm always stayed with me. It teased with possibility. What if it hadn’t been a farmer, I wondered? What might we have stumbled upon unwittingly? Who was firing the gun? What – or indeed who – was in its sights? Why was the trigger pulled? The setting that afternoon added immeasurably to the potential for drama: the heat, the stillness, the seclusion. And looming over it all was the castle – called ‘Glume’ before it was Campbell, and set between the valleys of two portentously named burns: ‘Care’ and ‘Sorrow’. It is a dark, implacable ruin; a survivor; a witness to so much over the half-millennium since it was first built. So perhaps, in some imagined story, it could have been more than just a witness, perhaps it could have had a purpose too. Buildings and places have ways of getting under our skins, of provoking thoughts, memories and feelings – good and bad. If we had to recall all of the major emotional moments of our lives, all of the highs and lows, and were then asked to plot them on a map, I suspect most of us would be able to do it remarkably easily. You always remember where you were when… Buildings don’t pull triggers. But perhaps they can trigger people to pull them. Perhaps. Bloody Scotland is the answer. Prepare yourself for a lot going wrong for a lot of people in a lot of ways in a lot of buildings. Prepare yourself for crimes of passion and psychotic compulsion. 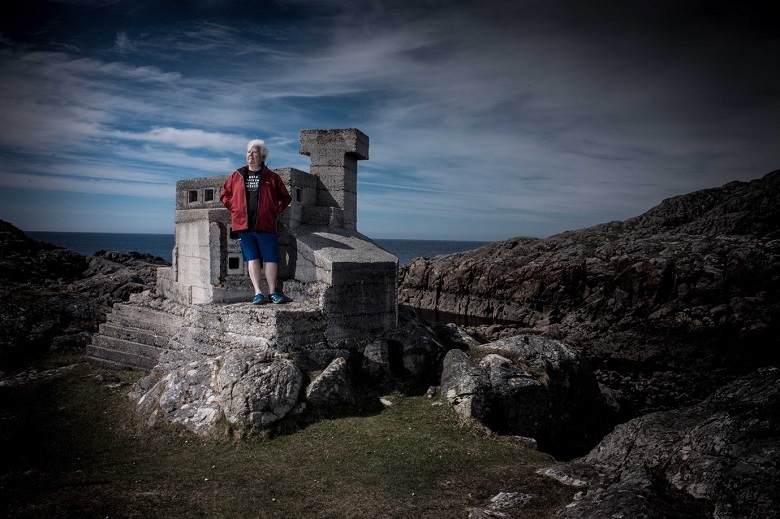 Prepare yourself for a 1,000-year-old Viking cold-case, a serial killer tormented by visions of ruins old and new, and an ‘urbex’ love triangle turning fatal. Prepare yourself for structures that both threaten and protect, buildings that commit acts of poetic vengeance or act as brooding accomplices to murder. Yes, a lot goes wrong. But, of course, a lot goes right too. Because these stories offer a perfect demonstration of the incredible wealth of creative literary talent in Scotland today. 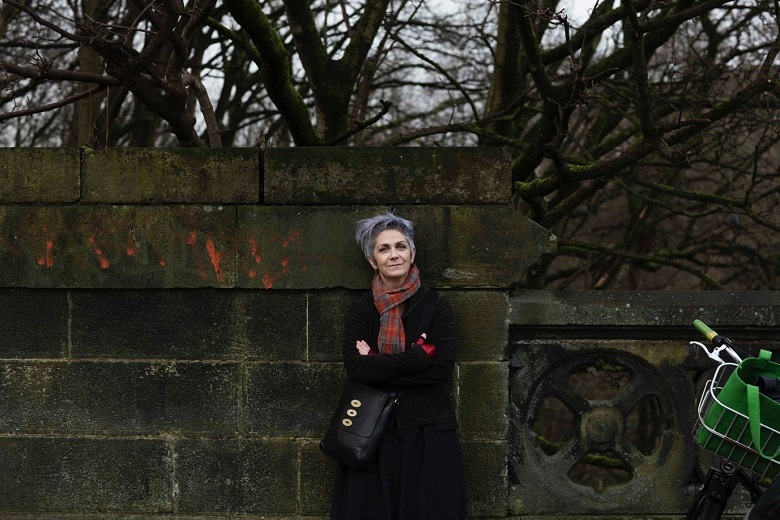 Scottish crime writing has carved out a formidable reputation. Our authors can entertain and they can shock. And they are fearless when it comes to tackling many of the issues at the heart of contemporary society, shining lights into some of the darkest corners. 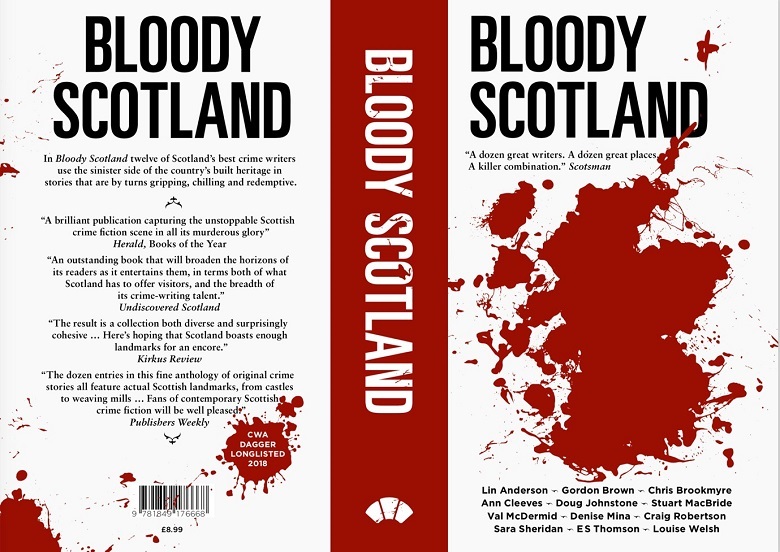 Bloody Scotland, then, is a tribute to two of our nation’s greatest assets – our built heritage and our crime writing. 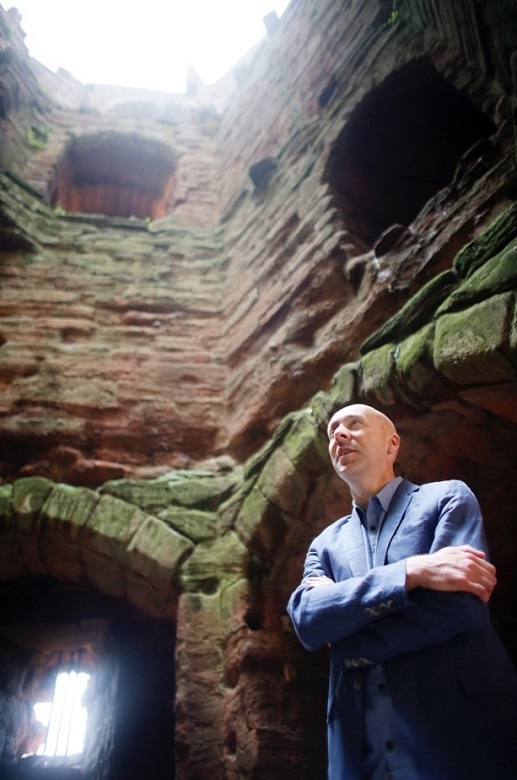 Read these stories and, if you haven’t already, go out and visit the structures and sites that feature. Seek your own inspiration from the experiences, let your imagination wander. Just like our writers have done, feel that electric jolt of excitement at all the myriad possibilities that Scotland’s places can offer.